Our Bryant Group Team Members have provided quality services to the construction industry throughout the Mid-Atlantic region for many decades. 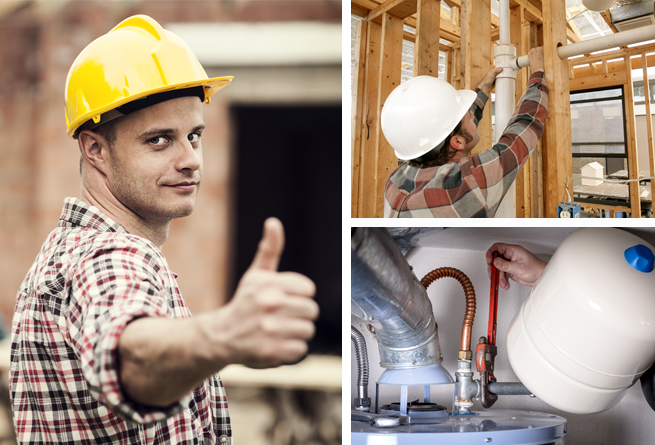 Our focus is on plumbing and fire protection installations for residential and multi-family housing projects. We set a standard for quality installations, on time and within budget, with a commitment to our customers and clients. 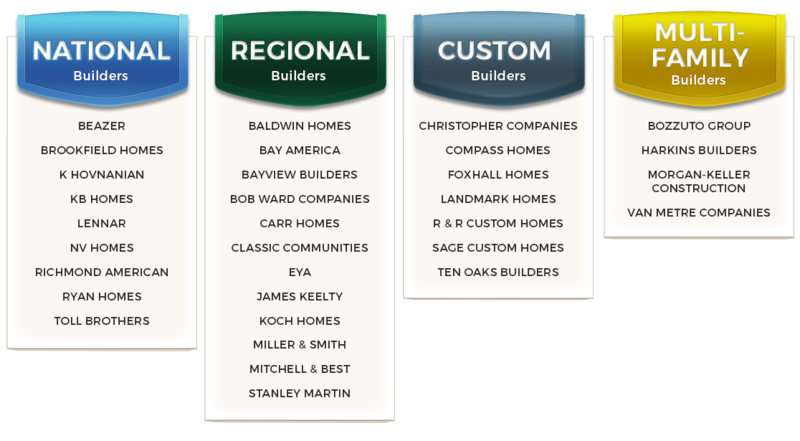 Following is a partial listing of the builders for whom we have been privileged to install these systems on their projects. Bryant Group installs the key component: the ‘guts’ behind the walls in your new home. Quality materials, installed by trained, licensed craftsmen, ensures a reliable flow of water and natural gas throughout your home for years to come. We can install the latest products, including tankless water heaters to save space and increase efficiency in your new home. Beyond new home construction, we can install plumbing systems in any new or renovated structure, including commercial applications. The Bryant Group will gladly bundle the residential fire sprinkler installations with their plumbing systems for true one-stop shopping improving the efficiency, scheduling and cost of the project. The fire protection systems are installed by licensed, trained crews and can be installed independently of the plumbing installation based upon the needs of the customer. The Bryant Group offers comprehensive warranty service on all work installed by our firm. We also have a Service Department that is available 24/7 for any emergency that may occur in your home. Following the warranty period, we offer the opportunity to continue to provide any plumbing service you may require through our Residential Plumbing Service Contracts. The firm’s management team, both in the office and in the field, is involved from the project beginning to the end. Our skilled staff brings years of experience to each project, providing quality construction remains a constant focus for our success. We proudly serve Northern & Central Virginia, Maryland, Delaware, Southern Pennsylvania, and the Pan Handle of West Virginia. If you are submitting a Service Request, please click on the yellow SERVICE REQUEST button at top of our homepage.